How to Choose a Hiking Backpack? - Outdoor Gear World! Do you have trouble finding the best backpack for your adventures? Such confusion is perfectly understandable. Backpacks come in many different designs and sizes with different features. However, a good backpack is invaluable for a successful adventure. Choosing the best hiking backpack involves evaluating certain specific attributes that will fit your needs. 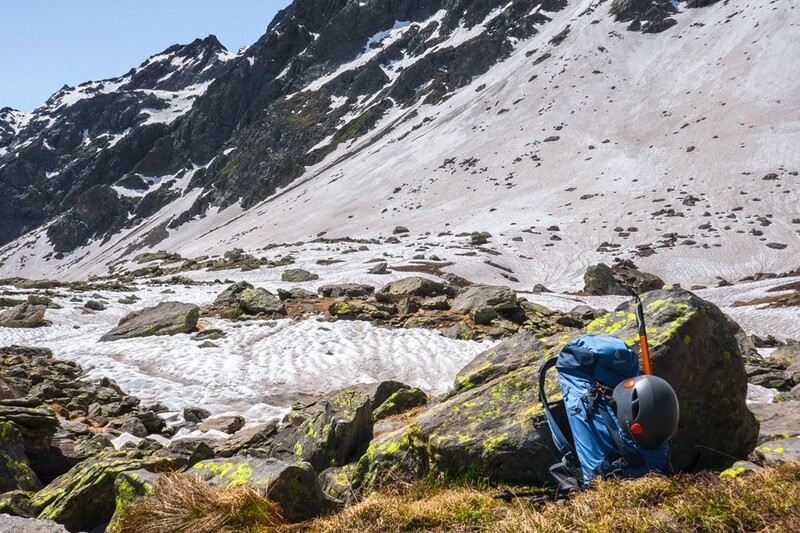 Failure to get the right backpack may hurt your chances of enjoying your hiking trip. This resource aims to provide you with details on how to choose a hiking backpack that will suit your needs. Here are three important considerations that will help you with decision making. These include the backpack capacity, the backpack features, and the backpack fit. Here you can about direct action ghost review. The capacity of your backpack will determine the number of essential items you can carry. The capacity in itself is determined by how long you intend to spend on the trip. Based on this, you can choose between three different types hiking backpacks. A weekend pack is a newer design that is less bulky yet can carry lots of stuff for 1 to 3-night trips. However, packing in such a pack requires high levels of care and self-discipline. If you do it right, you can find a weekend pack extremely light and comfortable. Most backpacks in the market fall under this category. They are great choices if you are the kind that loves hiking in warm weather for up to 5 nights. Multi-day packs are also useful for day trips, backcountry skiing, and even certain 2-night trips. In case your trips will last for 5 days or more, go for the extended trip pack. Choose such packs if you prefer winter treks that last for more than a night. This is because they can accommodate a warmer sleeping bag, extra clothing, and a 4-season tent. Keep in mind that the tent includes excess poles. An extend trip pack may also be a good choice if you love hiking with your kids. This is because you will always need to carry lots of kid-friendly kinds of stuff to make the trips of the kids more enjoyable. Once you settle on the type of backpack to use, you need to asses a number of conveniences and fit features. The most important features to look at include frame type, pack access, ventilation, pockets, and padding among others. In terms of backpack frame type, you can choose from three different options: Internal frame, external frame, and frameless packs. Internal frame backpacks are body hugging. The design is meant to keep you stable on non-uniform, off-trail terrain. Most models feature various load-support technologies. The aim is to transfer the load of the backpack to your hips. External frame packs may seem old-fashioned by they are ideal if you will be carrying a bulky, irregular load. An example is when you need to tot an inflatable kayak to the water. Such packs offer great organization for lots of stuff and better ventilation. The frameless type is great if you are ultra-light and you love to hike fast and light. The term frameless may be misleading because such packs come with a frame. They are so-called because you can remove the frames to save weight. The sweaty back syndrome is a major problem for hikers who use internal frame backpacks. This is because the fabric of the pack rides directly on your back to cause sweaty irritation. High-quality hiking backpacks have a suspended mesh panel on the back to fight the sweaty back syndrome. Pockets offer valuable space for organization. The more the pockets the more organized the backpack will be. Choose a backpack with elasticized side pockets, hip-belt pockets, front pockets, and shovel pockets. Elasticized pockets are flat when empty. However, they have this incredible ability to stretch and accommodate a number of items including tent poles, water bottles, and other loose objects. Hip-belt pockets can accommodate smaller items that you will need to reach with speed. Examples include snacks, cell phone (Smartphone) as well as packets of energy gel among others. Shovel pockets describe flaps that are stitched on the front aspect of the pack with a buckle closure at their top. The original idea for the pocket was to hold a snow shovel. Today’s packs feature them as great stash spots for a jacket, a map and other loose and lightweight items. Some modes of backpacks include front pockets to the external aspects of the shovel pockets. They hold additional smaller items that are less bulky. Top loading openings are quite standard in most models of hiking backpacks. The openings will allow you to access items depending on need. The items you will not need till the end of the hiking period should go to the deepest compartment of the backpack. If you choose to go with a lightweight pack with a minimalistic lumber pad and hip belt, you will stand the risk of developing sore spots on your lower back on hips. It will require that you use a hiking pack with a cushier hip belt. The other features that make a good backpack include raincover and a hydration reservoir. A raincover is important if you suspect that you will encounter rain on your trips. While the interior fabric of packs is coated with a waterproof material, the seams and zippers can allow water to sip through. A raincover will prevent the sipping of water into the interior of the pockets. High-quality packs also feature internal sleeves in which you can slip a hydration reservoir. Keep in mind that a hydration reservoir is almost always sold separately. Some models even feature hose portals where you can slip your sip tube. After choosing the type of hiking backpack that will suit your needs, you will need to make sure you buy your right fit. The right fit in this regard means the pack must feature a size appropriate for the length of your torso. It must also offer a comfortable snug grip on your hips. Backpacks come in different sizes from super small to large to fit a wide range of torso lengths. The ranges may vary from one manufacturer to another and from one gender to another. It would be good to go for models with an adjustable suspension which you can modify to fit your torso length. However, an adjustable suspension may add more weight to the pack. Generally, your hips should support up to 80 percent of the weight of your backpack. Pack hip-belts are usually designed to accept a broad range of sizes from mid-20 inches to mid-40 inches. If you have a narrower waist than these ranges then you can choose a model that offer interchangeable hip belts. This feature allows you to swap out a particular size for another as appropriate. Manufacturers make backpacks to suit the special needs of their customers. It is possible to find backpacks specifically designed for women. Such packs are also suitable for younger hikers. The torso dimensions are also shorter than those of men. Shoulder straps and hip belts feature female contours. Youth-specific backpacks feature smaller capacities. Their design includes an adjustable suspension to accommodate the changes of a growing child. Women backpacks, as well as those for younger men, can also serve as youth-specific packs. There you go, reader. Now that you know how to choose a hiking backpack, you have the full confidence to step to buy the best model you will find. Make sure you take into account the many different features and fit adjustments discussed. Only in this way can you guarantee a successful hiking trip.